I’m still very behind on blog reading lately. Things here are settling down, and into a new rhythm, so hopefully soon I can read all the great stuff from the awesome blogs I follow. Still, even with my limited reading lately, I did manage to find some gems you should check out. Broken Paintbrush: Making Some Updates – Why and What’s Next – As someone who has been down this road a few times, I understand what Joe is talking about. When you’ve had a blog long enough, you have to reevaluate what you’re doing, why you’re doing it and how to improve. Joe talks about that in this article, which is an interesting read for any fellow bloggers out there. For the non-bloggers, you might gain some insight into the considerations we make in regards to our blog. 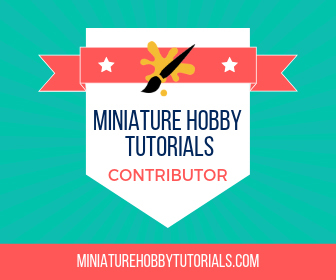 Technasma: HOBBY: 6 Hobby Essentials I couldn’t do without! – A great post on some items in the arsenal of Technasma that he finds essential to every day hobbying. It’s a good short post with an overview of these items, and you may find something interesting – I did. Maybe he’ll go over each item later in a bit more depth. I’d be interested. St Andrews wargaming: Formation-ing an opinion: The Evolution of Formations in 40k – Be warned, this one is on the long side, but it’s a great look at how formations came to be, and what they’ve become now. It’s a fairly impartial article, and it has a lot of great discussion going on. Definitely check it out. Thanks for the shout out Thor. Glad you enjoyed the discussion, my most commented upon post by a long shot. Another good selection to read through. Thanks for that Thor. Cheers Thor! I loved Technasma’s list, added a few things to my wish list and will have to work on my vocabulary of my tools.